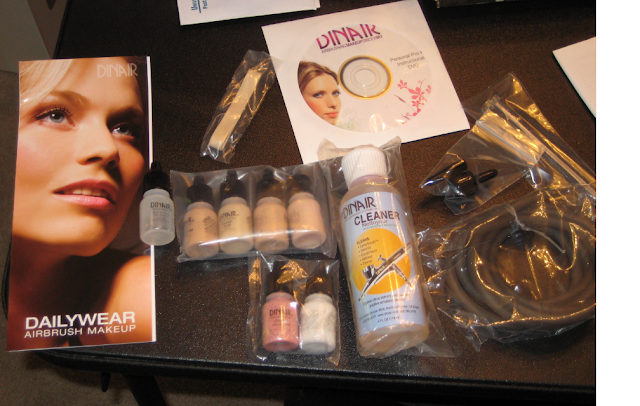 After much research into the Dinair, and Temptu airbrush systems as well as a I few other random ones, I decided to order the Dinair Foundation Deluxe Kit last month? I lost track! This is the first day I got it (which was only a week after I ordered) and how they package as well as one pass over half my face...mind you I didn't quite know how to use the system as it was my first time using it! 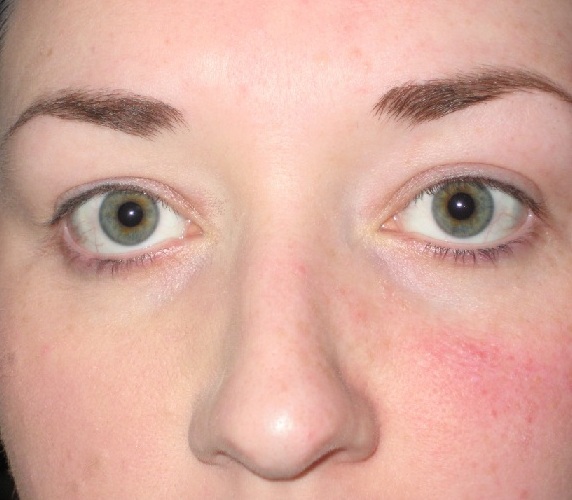 I was impressed though at how it covered my red cheeks and gave me a very flawless finish for just one pass and not knowing what I was doing! I plan to do more reviewing as well as tutorials once I can afford to buy more blushes, eyeshadow, brow, and highlights/concealers colors (although I don't seem to need concealer with the system). Currently I'm broke trying to pay for my wedding stuff lol. 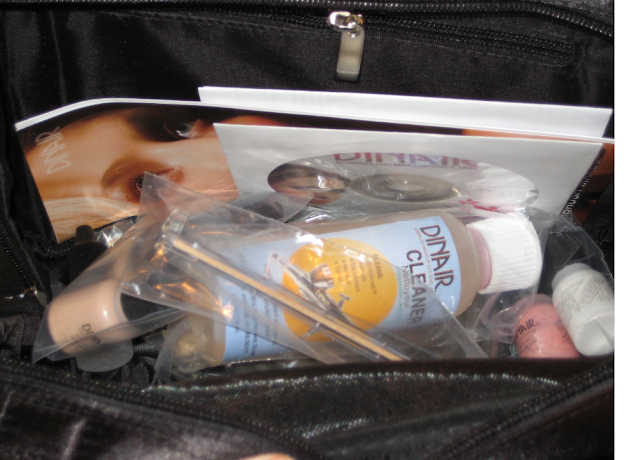 The items were very well packaged and nothing was just moving around in there (note the black bag doesn't normally come with the kit but they had a Mother's Day deal to get it free with it). I got quite a few things with this kit and they advertised a deal of $199 for it, which I'm not sure how long it will be going for. You also get the option to choose the color of your airbrush pump, I went with the pearl white one which is free but some you have to pay for like Zebra print or certain glittery colors (they have a ton of choices for this). The package comes with: 4 shades of foundation (.25 oz), Airbrush Cleaner, Moist and Dewy, Travel Case, Instructional DVD, and the Adapter Plug (as well as the aibrush gun, air pump, and tube). I also ordered a blush in Cloudy Pink and a highlight color in Opal White (.25 oz for $12 each). Ignore the brows/lack of eyeliner as I had a long day at work and was tired so I didn't do anything but foundation. All in all I have to say I'm loving the system....I have had trouble with foundations sliding and looking bad on me (I don't have oily skin but I do have dry skin in areas) most makeup after just an hour tends to look cakey as well. This however last hours and was a snap to do! I will explain more and shows more pictures as I get the hang of it....although it's really simple I'm still playing around with it to get a better opinion. Note: I paid for all of these items myself! Which foundation color do you have on in the photo and what do you wear in MAC? Thanks!